Colostrum is a highly-concentrated source of immune and growth factors reduced by mammary glands of new mothers after giving birth. Colostrum is known for giving infants important anti-bodies and growth factors needed for optimal growth. Most colostrum supplements are not made from humans but from cows. 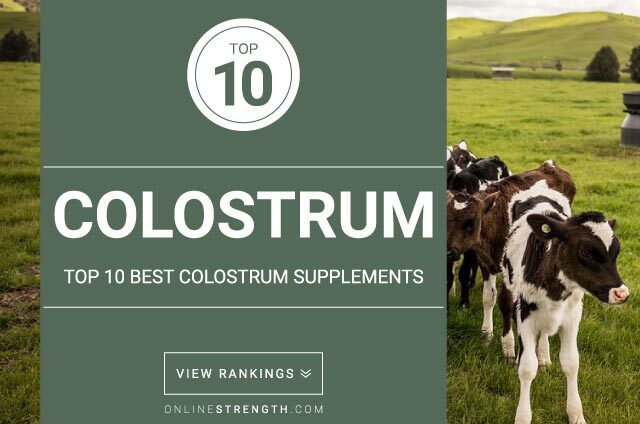 Colostrum contains nutrients that boost the immune system health and stimulate the growth and development of cells inside of the digestive tract. The powerful combination of growth factors found in colostrum can help encourage healthy muscle tissue growth and bone cell health. This can lead to greater muscular strength and physical endurance. The regenerative effects of colostrum may help reduce injury recovery time. Colostrum contains anti-inflammatory agents shown to help inhibit inflammation, reducing pain and activities caused by inflammation. Growth factors in colostrum may help to improve gut health and aid in gut health repair, improving metabolism. Colostrum contains the growth factor IGF-1, which can be useful for muscle building and post-workout recovery. However, studies show conflicting results on its overall effectiveness. Colostrum can be found over the counter in capsule or powder form. Standard Colostrum dosage: 5,000 mg – 10,000 mg according to the limited research studies available. As a sports supplement 20 g – 60 g have been used in research studies. Due to limited amounts of scientific studies regarding dosages we recommend following product labeling for best results.